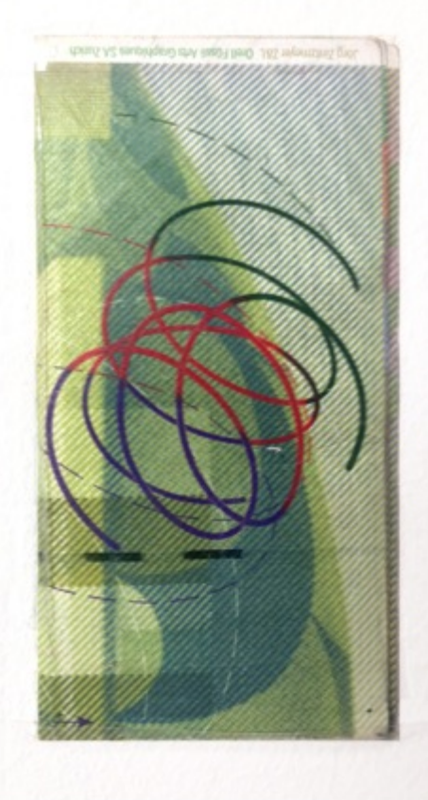 This Piece is made with a 50.00 CHF swiss francs note, currency (51.28 USD on april 15 th 2015). 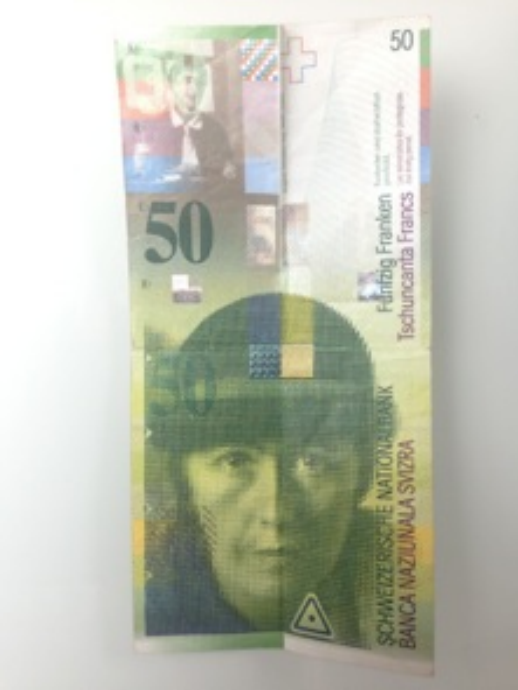 The 50.00 CHF is a tribute to swiss artist Sophie Taeuber-Arp, (1889-1943), designed by swiss designer Jörg Zintzmeyer. Date of issue of the banknote: 3 october 1995. 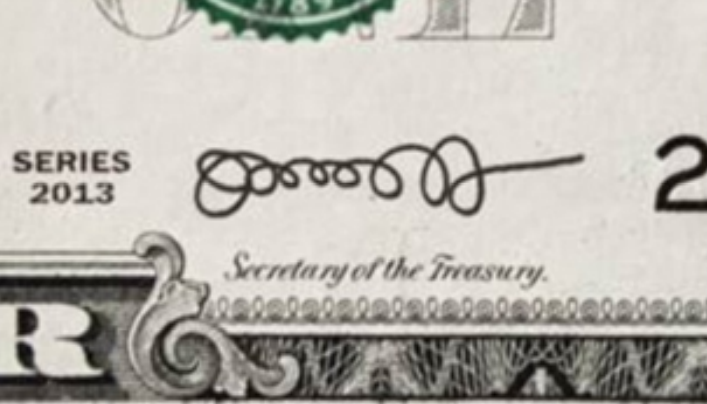 On the reverse (down, left) of the banknote, figures a drawing, by Sophie Taeuber-Arp, which reminds me of the signature on USD currency by Secretary of Treasury Jacob J. Lew. I like the ambiguity of this object. Folded in four, pasted on a wall, showed in another country/ context, it takes a meaning different from the actual value of the banknote. The « modern » drawing on it is not ugly, but not wonderful neither. REPRODUCE/ IDENTICAL: The readymade can be reproduced by whoever wants, provided that the final results are identical to the ones described and illustrated by the designating individual. This entry was posted on April 15, 2015 by rdotmdot in 2D, Reproduce/Identical and tagged 2D, REPRODUCE/IDENTICAL.